Hiding in My Craft Room: HIMCR #229 Winner! Well, I suppose you are here to find out who this week's Wednesday Winner is! So let's get on with it!! 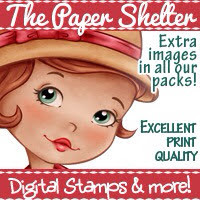 The giveaway is a $15 Gift Certificate to The Paper Shelter! Congratulations to our HIMCR winner, Tina! Please use the 'Contact Me' button before next Wednesday to send me your email and claim your prize. That sounds like so much fun!! Thank you for choosing my card as the winner. I am honored.